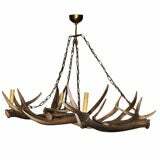 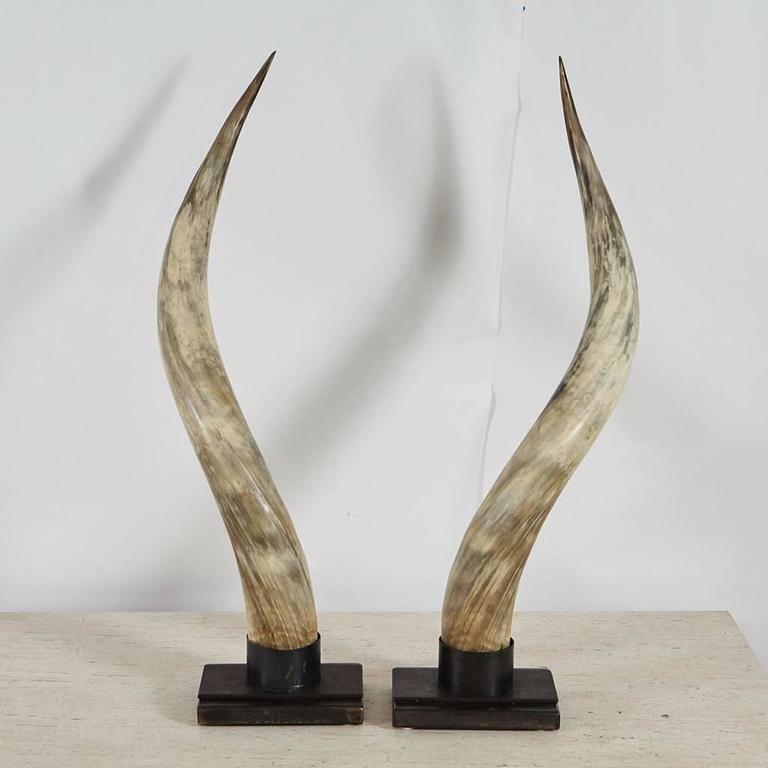 These large steer horns from the last century have been mounted in stands made in house at Jefferson West Inc. to create a rustic and modern decorative item. 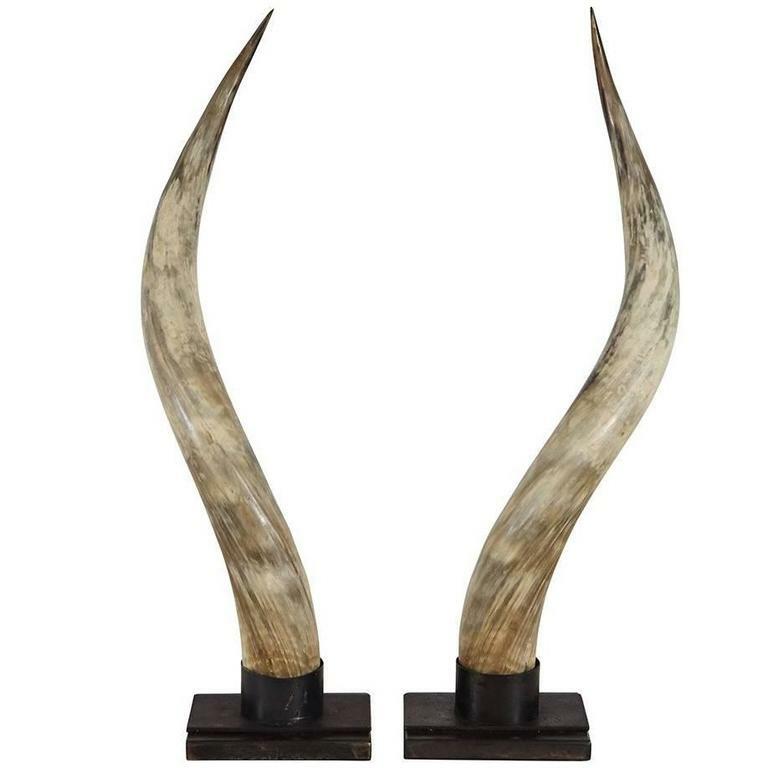 The horns are mounted in steel cylinders. 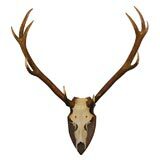 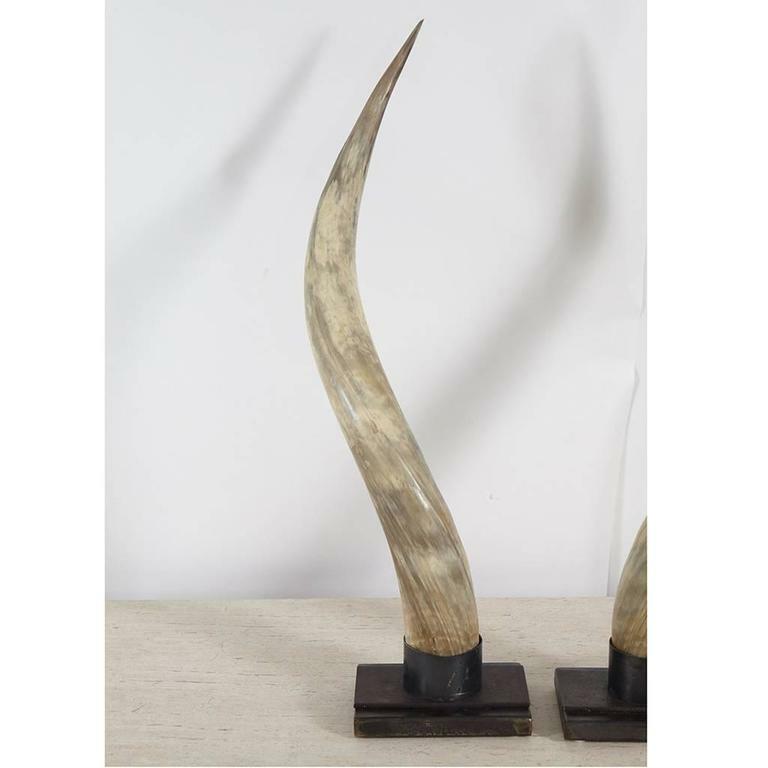 Offered is a pair of over-scale longhorn steer horns nicely mounted on Lucite bases. 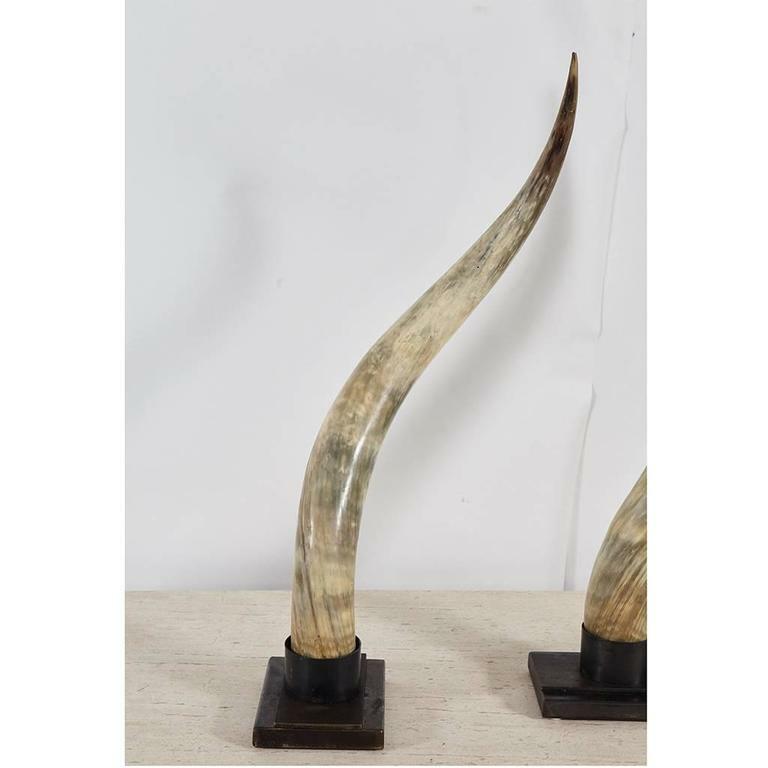 These horns are unmarked. 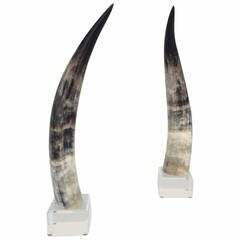 Pair of cut steer horns mounted on acrylic bases. 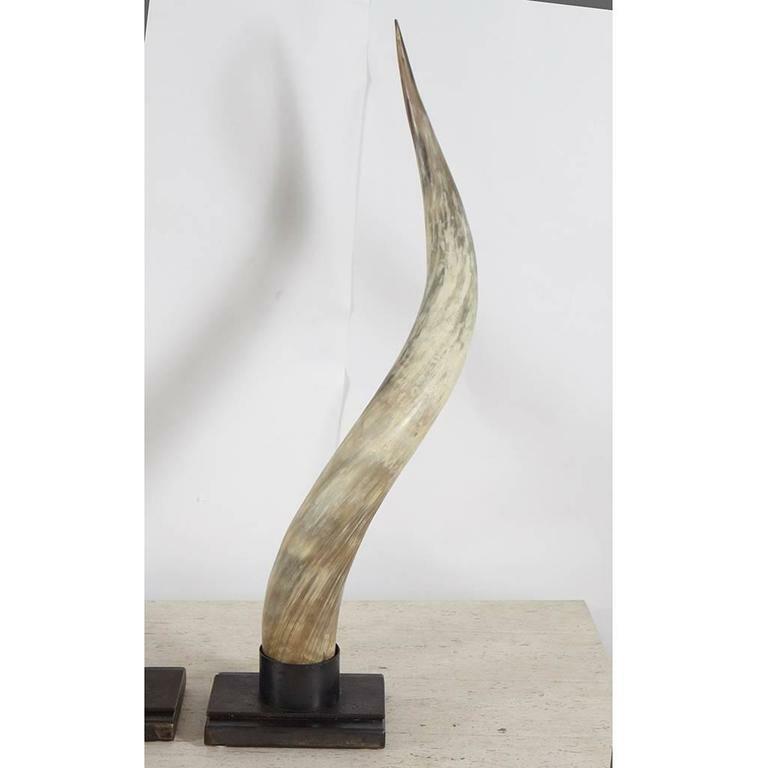 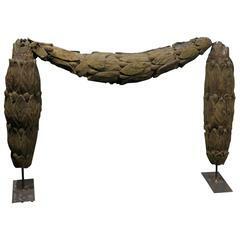 Exotic African Lesser Kudu horn sculpture mounted on stand. 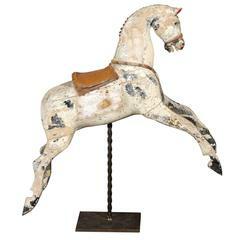 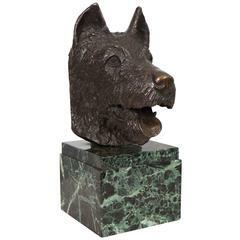 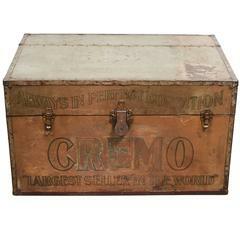 The sculpture has a stepped base design in chrome and black lacquered wood. 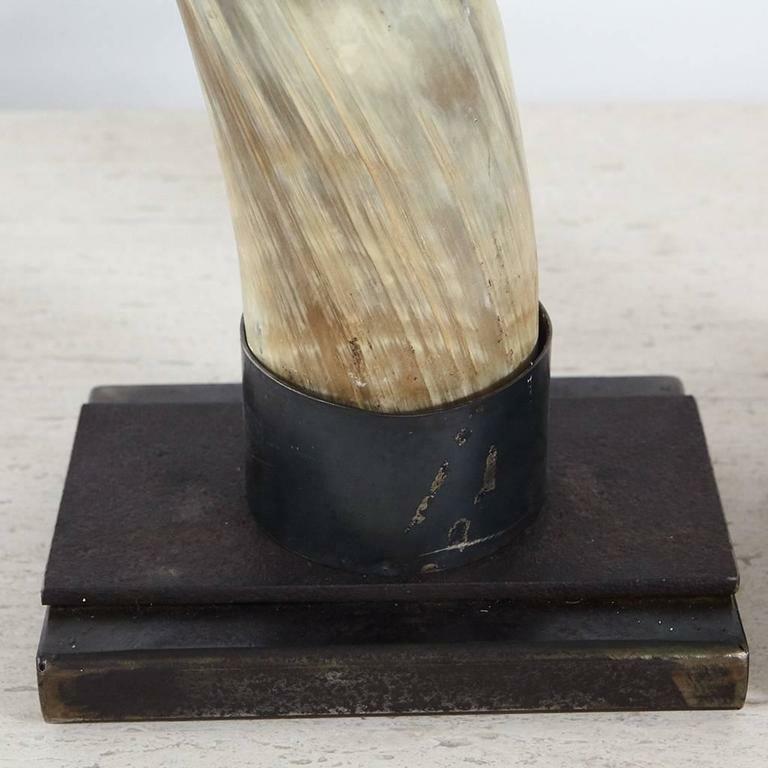 Stunning from all angles.